This is soooo pretty! I put my boxes together this week…it was easy and fun. I just ordered the matchbox die from your website. The Big Shot is addictive! 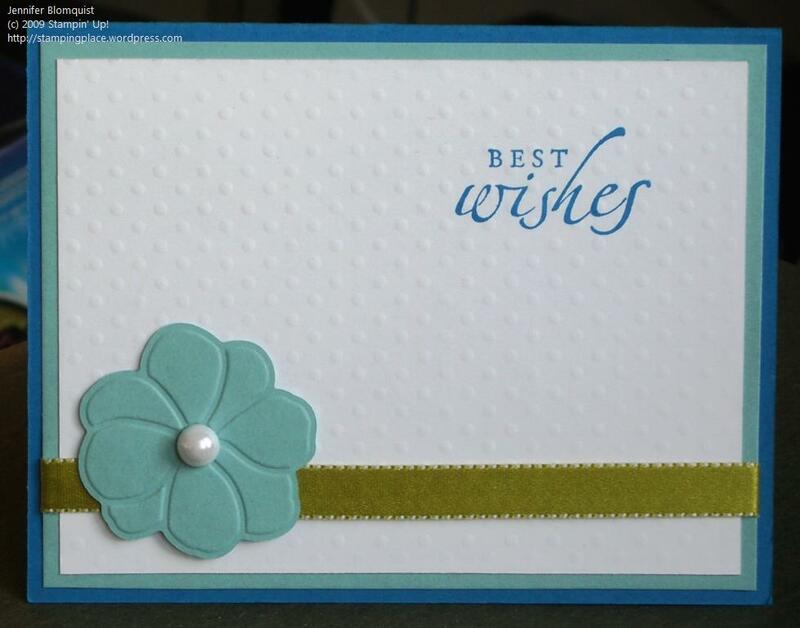 A beautiful elegant card Jennifer!! I love texture and it is good that you have the SU texture plates over there. One day we may have them here! This is a beautiful card Jennifer – I am glad you’re enjoying the big shot. Glad you are enjoying the books – I just started the first one and love it so far. Have a great weekend. oh i love this! I need that die!! I just love how you used the pretty!